Question: My husband and I have divorced recently and I subsequently resigned from my job in Dubai. We have two children under 3 and my ex-husband does not give us financial support. I am on a visit visa and I do not have any accommodation. What can I do? 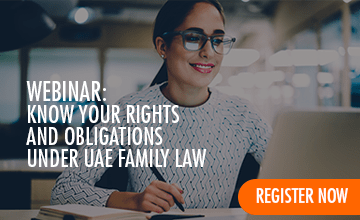 Answer: If your husband is still a UAE resident, Article 5 of the Personal Status Law says that you have the right to file a case against your husband to claim maintenance support. Article 78/1 of the same law says your husband is obligated to provide maintenance support to his children until they have either finished education in the case of boys or are married in the case of girls. This support may include accommodation, groceries, clothing, education, healthcare, domestic help and travelling expenses, including flight tickets. To seek maintenance support from your husband, you will need to register with the Family Guidance Department, which can be found at the Personal Status Court. You will require proof of the divorce as well as your children's passports. The department may try to pursue an amicable settlement between you and your ex-husband, but if that doesn't work, the department can issue a 'no objection' certificate to refer the matter to the Personal Status Court. Then you can register a case with the court. Question: I live in Dubai with my wife and 3 children. I think my wife is cheating on me because a stranger messaged me a couple of years ago claiming that my wife had an affair. I do not have access to her phone or laptop to check up on her. Can I request the police to search my wife's phone and laptop and can they arrest my wife and her boyfriend if I file a complaint? Answer: Adultery is an offence in the UAE and is likely to carry a jail sentence of one year, followed by mandatory deportation. The prosecution will investigate both your wife and her boyfriend and they will only be arrested when their guilt is proven without doubt. If the alleged act of adultery was committed more than five years ago, the prosecution may reject the request.